A difficult investigation conducted by unconventional means takes place in the background of big business and its mysterious sanctuaries. A tortuous journey in search of truth from Lugano to Rome, from the Caribbean to New York, from Tallinn to Moscow, to Jerusalem, punctuated by assassinations and dangerous revelations. A hard-boiled in which fact and fiction are closely intertwined, and that seems impossible has been written by an Italian. THE BOOK: Dawn of the new millennium. Internet bursts like a planetary bubble, people feel the first creaking of the economic crisis and the fear of international terrorism. David Faure has been instructed by the President of the Frankfurt Allgemeine Bank to find out how they could fade away 438 million dollars to offshore bank accounts of private Sutter. The clues are few, and disturbing: an apparent suicide and the death of the director of the branch of British Virgin Islands. But this is just the beginning. On an open board on the globalized world, unscrupulous businessmen and powerful CEO, almost invisible hacker, Israeli spies and senior Vatican prelates, the cantonal police commissioners, business lawyers and former bankers act in a complex but well-orchestrated score. And a killer of a thousand faces and a single deadly passion as well. Faure began his investigation, assisted by a team of specialists: Pablo Bidarte, former FBI agent; Aaron Singer, computer security expert; and Susan Finzi, self-confident and seductive manager. At his first and surprising narrative work, the author takes us into a lockstep and urgent investigation and in the background there is a perfect recreation of the new crime. 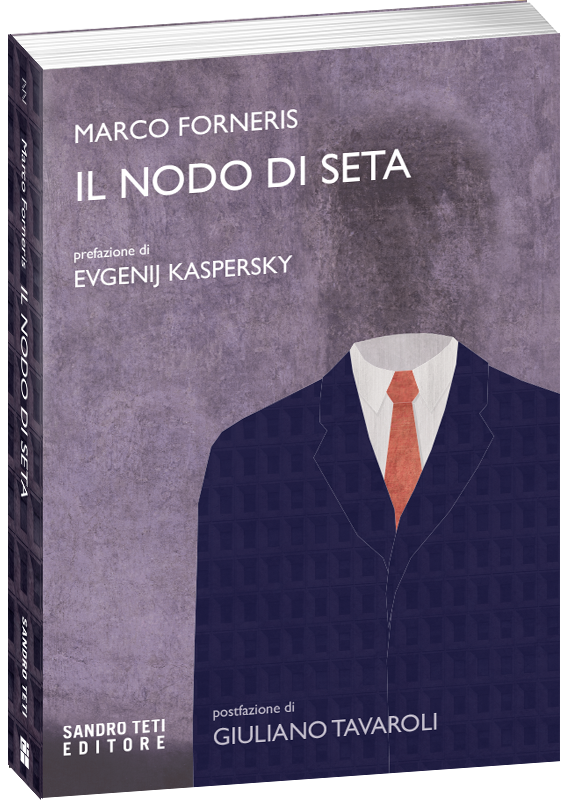 Marco Forneris operates in the IT and organization from the seventies. Graduated in Turin, he began his brilliant career in the legendary Olivetti. He was Chief Information Officer of some of the most famous Italian companies: Il Sole 24 Ore, Assicurazioni Generali, Gucci, Fiat and Telecom Italia. He deals with M & A and Business Development for Information Technology companies, for private equity and investment banks. This is his first novel. Eugene Kaspersky, Russian mathematician, cryptography and information security expert. In 1997 he founds the “Kaspersky Lab”, a world’s leader in the field of cybersecurity and antivirus production. Kaspersky is very active in preventing information threats and cyberwars. He repeatedly declared in public his protest against cyberattacks sponsored by governments. Giuliano Tavaroli is a great physical and computer security expert. He started his career in Milan in the anti-terrorism special team of General Dalla Chiesa. Best known for the Telecom deal, where he managed the company security with more than 500 people working for him.